Online banking is currently undergoing maintenance. We apologize for the inconvenience and will restore access as soon as possible. Establishing a loan is fast and easy! It’s a quick process of signing up. See how easy it is to get the money you need fast! Talk to us about your business lending needs! Give us a call at 800.533.2062 or find a branch nearest you and one of our reps will be happy to talk to you about your business lending needs. Open your Business Account Today! Let us help with your business needs! To open your business account, give us a call at 800.533.2062 or stop by your nearest branch. Thank you for choosing Georgia’s own! You are now leaving the Georgia’s Own Credit Union website. The site you are about to visit is created and maintained by another organization. Georgia’s Own is not responsible for the content on the site you are about to visit. Georgia’s Own does not represent either the third party or the member if the two enter into a transaction. Privacy and security policies may differ from those practiced by Georgia’s Own. to choose and which one will best fit your needs as a student. Here are some tips to help you thrive financially during college. Many young adults will open an account at the same credit union or bank their parents use. But what happens when you move away from home? Be sure to check if there is a branch, credit union service center, or surcharge-free ATM close to both your hometown and school. There will be plenty of times when you need cash and want to be close to a location that won’t charge extra fees when withdrawing money or making a deposit. If you’re taking out student loans, don’t wait until you’re earning a real salary to pay them off. Open a savings account with high interest rates and no fees. There will be plenty of expenses throughout your college years, so there may not be a lot of money to save up. However, a little savings here and there will eventually add up and help pay off those pesky loans in the future. Or, better yet, start chipping away at your loans while in school—this can save you money in interest in the long run. You may think there isn’t enough time in the day with classes, studying, activities, and sports, but there is always time to get a flexible job. Even if it doesn’t pay much, it’s better than having no income. Some schools offer student work programs or federal work study and have jobs that will work around your class schedule. Some schools will even give you free housing or cut down on housing costs if you become a resident assistant. If you feel comfortable sharing your car, you could become an Uber or Lyft driver and work for yourself whenever you have the time. There are also plenty of odd jobs worth considering. Ask your parents if they know anyone who needs house sitting, dog walking, or babysitting. These don’t take up much time and are relatively easy ways to make money without making a full-time commitment. Even if a job is out of reach, talk to your parents, guardians, or whoever is helping pay for school about setting a budget and sticking to it. College is about new experiences, so make sure to factor in a percentage for entertainment and spending money. Make a list of expenses like books, supplies, groceries, bills, etc., along with other things you may need money for, like events, shopping, and eating out. Although, if you do have a job, put a percentage of your paycheck aside into a savings account—you’ll thank yourself later. What are your passions? What’s next after college? I major in Education at Georgia State University and am a proud color guard member in the Georgia State Marching Band. My goals are to become a high school teacher and also continue my passion for color guard as an instructor. Participating in the band was a major part of my high school experience and a deciding factor in pursuing my education degree. What’s your favorite part of color guard? The people! I think what makes color guard great is the emotional connection and support of the performers and instructors in the activity. You are not only a part of your team, but you become a member of the bigger guard family. In fact, it is a guard tradition to wish other competitors good luck before the show. Everyone cheers for every team. It’s a community like no other. Being a performer, what aspect do you find the most challenging when working with a team and learning new tricks? What is the most rewarding aspect? The most challenging part when learning a new skill is overcoming the mental blocks and fear. Tossing heavy and sharp objects while moving is incredibly dangerous and can result in serious lacerations and injuries if not done correctly. Knowing the risk makes it very scary to the point where you mentally can’t do it. However, once you push through it and master any new skill, it is the most gratifying feeling ever. You practice for days and fail, but there comes a time when you get it right and it feels incredible. 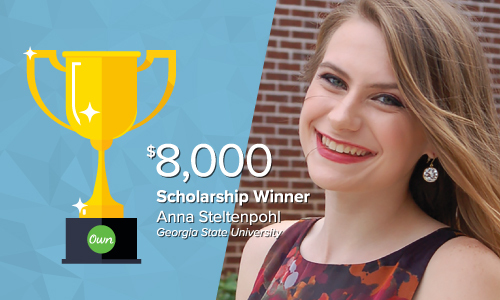 What does it mean to you to receive the $8,000 What’s Ne[x]t Scholarship? It means the absolute world to me and brings me a big step closer to achieving my educational goals. I was so appreciative to learn you chose me out of many students who worked hard to submit scholarship entries. I wish them all the best! This scholarship is a great help in paying for my school tuition and will limit the number of student loans I have to take out in order to graduate. Thank you so much for your generosity and support of Georgia’s Own students! How will this scholarship help you achieve What’s Ne[x]t for you? This scholarship is helping me achieve What’s Ne[x]t by allowing me to do what I love by helping with much-needed funds for my education. I applied for the scholarship because I feel a part of the Georgia’s Own community, both as a member and as a Georgia State student. I am happy to say that now my tuition is covered for this year. I look forward to the next year at Georgia State in the Honors College and the upcoming Panther band season at the new Georgia State Stadium in Atlanta. What makes you one of Georgia’s Own? I have been a member of Georgia’s Own Credit Union since I was a kid. I learned about money here. It was fun to empty my piggy bank into the noisy cash machine there and watch my savings grow. Now, I am a pro at managing my checking and savings accounts. Being a member and a GSU student gives me extra access to amazing events being held on campus, which are always so much fun. How do you manage the cost of college during school and after you graduate? I have always loved to save money. Every time I earn a paycheck or extra money, I deposit 30-50% into my savings account. I keep a budget for each month and monitor my spending. I earn money teaching guard and also apply for scholarships to help with college expenses and reduce my debt after graduation. Maintaining good grades allows for more scholarship opportunities. My advice to other students is learn how to spend money in moderation and plan activities with money in mind. I know that Starbucks before class every day seems like a great idea, but it makes my wallet cry. However, visiting Starbucks occasionally with friends makes it a special treat. Frequently checking your account balance will also help you stay on track with your budget. Tell us a fun fact about yourself. When I was in preschool, I changed my name to Lucy. After watching I Love Lucy, I decided I just HAD to be Lucy. I wouldn’t respond to Anna and signed my artwork with my new name. I’m back to Anna these days, but my family still calls me Lucy when I’m being stubborn, which makes me laugh! What are your passions? What’s next after college? What’s next is completing my undergraduate degree in Finance, then pursuing graduate studies in Policymaking and Management. For as long as I can remember, business and finance have been my passions. I love entrepreneurship, banking, finance, accounting, and every other aspect of business. Now, I’m also interested in exploring how business and policymaking intersect. After graduating with my B.B.A. (Bachelor of Business Administration) next spring, I’ll be excited to gain exposure to policymaking and learn how those two worlds collide! What inspired you to write the book 100 Reasons 4 College? I was inspired to write 100 Reasons 4 College after mentoring my cousins and introducing them to campus life. They are 14- and 15-year-old girls and moved to Atlanta for high school. They hadn’t had much exposure to campus life, so I wanted to impress them with how fun college can be. They were impressed, so I packaged all that I’d shared with them into a book and called it 100 Reasons 4 College: Why College is the Next Step for You! Since publishing my book in February, I’ve left that impression with over 1,000 students in metro Atlanta. What was your favorite part of being the FBLA president? What was the most challenging? I loved the idea that I was becoming a Future Business Leader of America (FBLA). Being President of FBLA gave me the confidence that I would need to become an American business leader. Before I knew anything about ROI or a CAP rate, FBLA instilled in me the business principles that would become essential to my career. The most challenging part of being the FBLA President was rehearsing for competitions. It took months and months for our members and me to prepare for our business pitches. In the end, it made us sharper competitors. At 13, you began discussing your father’s career. Do you plan on following in his footsteps and becoming a banker? Banking certainly interests me. To this day, I still ask my dad about the deals that his bank is closing and about any big news in the industry. I believe that banking is the crux of our economy and creates opportunities for so many people. If you want to start a business, go to college, or buy a house, typically, you go to your credit union or bank to get a loan. 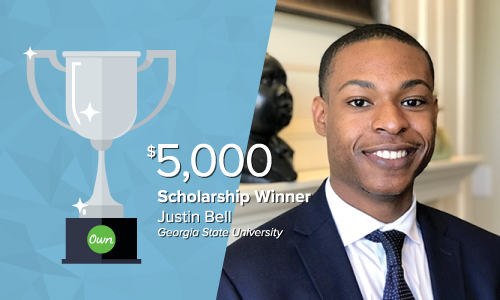 What does it mean to you to receive the $5,000 What’s Ne[x]t Scholarship? When I found out that I’d received the $5,000 What’s Ne[x]t Scholarship, I was ecstatic! It means a lot to belong to a credit union that invests in the futures of its members. It says a lot about the character of the organization and makes me proud to be a Georgia’s Own member. Earning this scholarship means that I am one step closer to achieving my financial goal of graduating from college debt-free! How will this scholarship help you achieve What’s Ne[x]t for you? Like many students, I work part-time, work during the summer, and apply for scholarships/loans to pay for college. I am big on budgeting and personal finance and made a plan to pay off my student loans by the time I graduate from college. It has required some extra hours working and applying for scholarships, but a decision that I am committed to achieving. Earning this scholarship will help me reach that goal and allow me to focus more on serving students and sharing my book! What makes you one of Georgia’s Own? There is no place like Georgia or Georgia’s Own Credit Union! I bank at the downtown location close to Georgia State’s campus. I can always count on stopping by to get the services that I need. I’m always greeted by familiar faces who are happy to serve the Atlanta community. Tell us a fun fact about yourself. I play acoustic guitar at my church, Atlanta Revival Center. Sunday is the day of the week that I most look forward to because I can jam out with our worship band and make sweet, aromatic music. Playing the guitar is very therapeutic for me. What are your passions? What’s next after college? 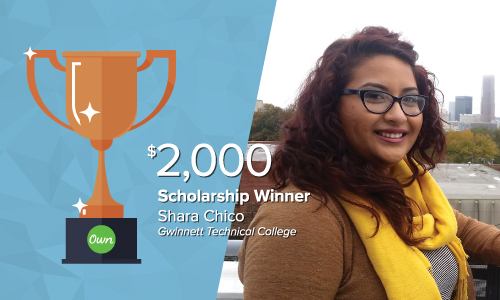 For the past year, I worked hard preparing to apply to a competitive program at Gwinnett Technical College. I am excited to say that I’ve been accepted and will be studying Radiologic Technology. I love helping and serving others and am excited to start on a career path that will allow me to do that. After completing my program, I plan on continuing my education and specializing in MRI Technology. How did you become interested in the medical field, and what lead you to focus on Radiologic Technology? The medical field was not my “Plan A” – I was originally on track to become an accountant. I worked a couple of desk jobs, and through those I was able to identify the part I liked the most about all of my jobs: helping others. I decided that I wanted a hands-on job working directly with people. After I knew what I was looking for, it was clear that I needed to be in the medical field. I zoned in on Radiologic Technology because of how many doors it can open. There are several different specialties you can go into, such as MRI Technology, Mammography, Radiation Therapy, and Nuclear Medicine Technology. How does it feel to make the Dean’s List after dedicating all of your time to earning a degree? Making the Dean’s List was an amazing accomplishment for me and an important indicator that I was on the right track! I was so invested in my classes that I devoted a large portion of my time to school, and my grades reflected that. I had been working hard to get the highest grades possible, and this award validated all my hard work; it felt great to be recognized by my school for all my achievements. What does it mean to you to receive the $2,000 What’s Ne[x]t Scholarship? I am beyond honored that Georgia’s Own has chosen me as a recipient. You don’t make a big career change like the one I made without having some doubts. The fact that an institution like Georgia’s Own recognizes my hard work as something worthy of investing in reiterates that I’ve made the best choice for my future, and I am extremely grateful for that. What makes you one of Georgia’s Own? Ever since I first stepped into Georgia’s Own, I was greeted with kindness and compassion. That’s how I try to live my life every day – making sure I’m always open to helping and serving others. I feel a strong sense of community at my credit union, and I know that Georgia’s Own will always be a great resource whenever I need guidance surrounding my financial health. Tell us a fun fact about yourself. I love to paddleboard. Nearly every day during the summer, I go to Stone Mountain Park and spend at least three hours on the lake. I am also an avid hiker. Any given weekend, you can find me climbing mountains or chasing waterfalls. If you have a newborn or a toddler, you’re probably more concerned with getting a solid 3 hours of uninterrupted sleep than saving for your child’s college education. After all, college is 18 years away, so you’ve got time. If you’ve ever heard the saying, “the days are long, but the years are short,” take heed. It’s the truth. Blink and your child is throwing their graduation cap in the air and packing the car with dorm room essentials. Now that we’ve established the fact that you don’t have as much time as you think, what can you do about it? With the skyrocketing cost of tuition, some parents are wondering if they’ll ever be able to afford their child’s college education. The key to building a solid financial foundation to help support your child’s academic future is to start early and save regularly. A 529 plan is one of the most popular, hassle-free, college savings vehicles available in the market today. 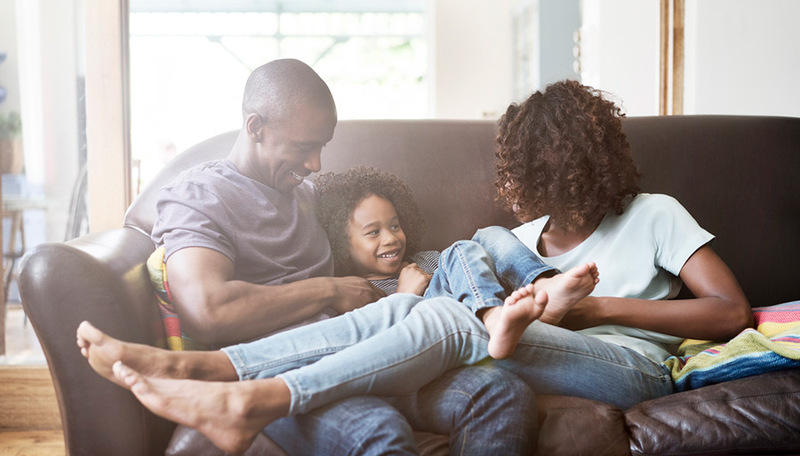 A 529 plan is a state-sponsored, tax-advantaged, education savings plan that is designed with features and benefits that encourage early investing for your child’s future education. It’s offered to help families establish a stronger financial strategy that will ultimately help their children—or another named beneficiary—continue their education. Any citizen or taxpayer can open an account, and almost anyone can help by contributing funds, including grandparents, other family members, and friends. It’s the perfect place for monetary gifts for birthdays, graduations, and holidays to grow with purpose. While contributing to a higher education savings plan can help make education more affordable, it also provides valuable tax benefits. The majority of states offer at least one 529 plan and the majority of states also offer full or partial state income tax deductions or other credits for contributions. Plan features and investment options can differ by plan and by state, and residents are not required to invest in their home state’s plan, nor attend an in-state school. The IRS doesn’t specify a maximum dollar amount for annual contributions to a 529 college savings plan. However, contributions to the plan are considered gifts for tax purposes and can be included in the 2018 annual exclusion of up to $15,000 per beneficiary. Any earnings accumulated in a 529 plan are exempt from federal income and capital gain taxes. 529 plan balances cannot exceed the total cost of the beneficiary’s higher education. Plan balance limits, which vary by state and range from $235,000 to $520,000, represent each state’s best and highest estimate of the cost of attending college and graduate school. Tax-free withdrawals from the plan can be used to satisfy tuition for most accredited universities, colleges, technical and vocational schools in the U.S. as well as many abroad. The benefit also allows up to $10,000 per year and per beneficiary for private, public, or religious elementary and secondary schools. Additionally, account funds can be used to pay for some room and board costs, supplies, books, computers, printers, and internet access. Other fees and necessary equipment may also qualify under the plan. Any withdrawals used for non-qualified expenses, like transportation, student loan costs, or sports and activities, will result in a taxable event. These non-qualified withdrawals will be subject to federal and state taxes and an additional 10% penalty tax, but only on the earnings in the account. If, however, your student beneficiary receives a scholarship, dies, or enrolls in a U.S. service academy, the 10% penalty is waived. Unless you’re able to change the beneficiary to another student, you will, however, be taxed on the earnings in the account. Saving for college is an important step in your overall financial plan. Start early with a 529 Plan and you can earn years of compounding, tax-free growth, and annual tax credits. If your children are headed for college—or you’re looking to go back to school—talk with your local investment advisor. Congratulations to Anna, Justin, and Shara – we can’t wait to see all of your accomplishments in the near future! Thank you to each and every one of our members who entered this year’s scholarship contest. Listening to all of your stories was a treat. Parents: Should you borrow for your child’s college education? Congratulations! Your son or daughter was accepted into his or her top-choice university. You have an extra $175,000 lying around, right? Your offspring’s education may cost that much or even more, now that the average cost of attending a private school has topped $42,000 a year, according to the College Board. If you can’t cover the whole bill with scholarships and savings, you may be tempted to borrow. Parents struggle with whether to put their child’s needs before their own. If you’ve followed the financial industry’s advice and prioritized your own retirement savings, you may not have been able to save much for college. Talk to a financial advisor about your retirement planning. This will help you decide whether you can handle education loans. What’s your current debt level? Are you still paying off your own education? If so, you wouldn’t be the only one. Many people are still chipping away at their college loans well into their careers, even as their own children near adulthood. Taking on more education debt may not be advisable if you haven’t eliminated your own. Mortgage loans are also a consideration. Paying off your mortgage before retirement can help reduce the amount of monthly income you need once you stop working, so crushing this debt may be a big priority later in your career. If your home is worth significantly more than you owe, that equity may be a good source of college money. The interest rate on a home equity line of credit is likely to be lower than the rate on a federal loan for parents of college students. And, like other types of mortgages, the interest on home equity lines of credit may be tax deductible. What are your other obligations? If you buy your eldest a car as a 16th birthday present, your younger children will expect their own wheels, too. Over-extending yourself for one child’s education may be hard to replicate when the next kid enters college. Make a realistic plan that includes all your children’s likely college costs. If your retirement savings are healthy, the rest of your finances are strong and you don’t have much debt, borrowing to pay for your child’s college might make sense. But it’s a last-resort option. Before you take out a loan, exhaust all possible financial aid options. Consider choosing a less expensive school, or having your child start at a community college and transfer to a four-year university later. Many families find that it’s best for the student to be the borrower, rather than the parents. The interest rates on federally subsidized loans are better if they’re in the student’s name, and you can always help pay it off later if your own budget will allow it. Your role as a parent is not coming to an end just because your son or daughter has earned a high school diploma. 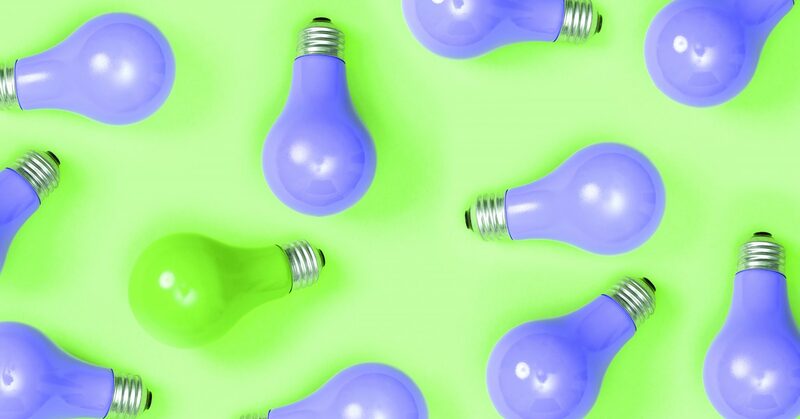 You still have to model good decision-making practices and healthy financial habits. That may include saying no to borrowing money for your child’s education. There are countless advantages to securing your master’s degree in your chosen field, but really? Who can afford it? If you’re like most recent college graduates, you’re still paying off your student loans and not looking to rack up any more debt. So how can you fund the next step in your education without resorting to a diet of Ramen Noodles and living in your parents’ basement? According to Sallie Mae’s 2017 How America Pays for Graduate School Study, 63 percent of students begin graduate school within 12 months of an undergrad degree. The average amount spent was $24,812, and 77 percent of it was paid by the student. The study also says that 8 in 10 graduate students said they were more responsible for making decisions about how to pay for school than they were as undergraduates. Nearly three-quarters created a plan for how they’d pay for grad school before they enrolled in a program. A recent report from the Society for Human Resource Management says that 54 percent of employers offer a tuition assistance program. If you work for a company that provides any type of tuition reimbursement, and you’re interested in furthering your education, this is the first and best place to start. Tuition assistance is a way for your employer to invest in you, your career, and the company’s future. With an advanced degree, you bring a broader perspective, better understanding, and valuable decision-making skills to your position. Your skills may also lend themselves to increasing revenue, reduced expenses, or other similar benefits for the company. Overall, it’s a win-win for both sides. Be sure to investigate the details of your company’s education assistance program. You may need to stay at the company for a given period of time after you complete your degree, or the reimbursement percentage may depend on your final grade. Not all plans are the same, so take time to meet with your Human Resources Department for the details. If you work for a smaller company that doesn’t offer tuition assistance, don’t give up too easily. You could present your boss with the benefits that a specific course of study could bring, and how it would help you add value to the company. You’ll never know until you ask, and even if it’s a no, it’ll show your desire to improve your position and further your career. Yes, graduate programs offer scholarships and fellowships, but they’re typically based on merit. Check with the school’s Financial Aid office, as well as the Graduate Admissions department. They’ll be aware of any aid awarded through the different academic departments. Search for trade and professional associations in your field that may also be looking to financially support graduate student education. And, of course, check out the many online scholarship databases, like GoGrad, Scholly, FastWeb, and ScholarshipAmerica. You may be busy balancing work, researching schools and programs, and figuring out how you’re going to afford your continuing education, but start your scholarship search as early as possible. You stand your highest chance of scoring some cash when the scholarship pot is full. Work-study programs are more common than you’d think, especially in grad school. Assistantships usually pay a portion of the tuition cost and a small stipend as compensation for your research or classroom instruction time. These positions, generally considered training and not necessarily employment, usually require an average of 20 hours per week. They’re granted by the different academic department so, if you’re seriously considering an assistantship, seeking out faculty members or department heads in your program of interest is the smartest strategy. And, again, the earlier, the better. More than 75 percent of all grad students wind up taking out some type of education loan. Your first choice should be a federal loan, so fill out the FAFSA, Free Application for Federal Student Aid. It’s required for access to any federal student aid. With a Direct Subsidized Stafford Loan, you can qualify for up $20,500 for each year of study with a combined undergraduate and graduate loan limit of $138,500. All Stafford loans are unsubsidized, so interest is not deferred, but payments are not required until six months following graduation. 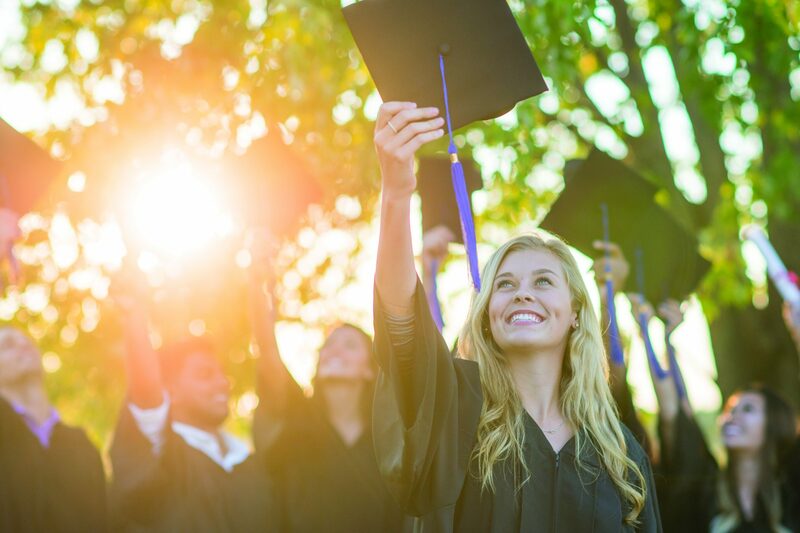 Once you’ve exhausted your Stafford Loan eligibility, you can move onto a Graduate PLUS loan. The Graduate PLUS loan is a federally guaranteed loan that can be used to pay the full costs of graduate school, including reasonable living costs. You must be enrolled at least half-time and have minimally acceptable credit. Private loans through banks and credit unions are also available for graduate study. These loans are based on your individual credit rating, so the higher your credit score, the more likely you’ll be approved, and at a better interest rate. Just as with federal loans, you’ll pay back the principal and interest. Many offer the option of making payments while you’re in school or deferring your payments until after you graduate. As a graduate student, you’ll also want to see if you qualify for the federal Lifetime Learning tax credit. It’ll allow you to subtract up to $2,000 per year from your tax bill. It’s available to single filers whose adjusted gross income is $62,000 or less, or to married filers whose AGI is $124,000 or less. The credit applies to 20 percent of your tuition and other required educational expenses, up to a maximum of $10,000. Talk to your tax advisor for more details. When it comes to education and expenses, there are lots of ways to find financial support, but it takes some legwork. Invest some time, exhaust your resources, and you’ll make the right financial decision about how to fund your future success. Congratulations to our 2017 John B. White, Jr. Memorial Scholarship Recipient, Edward Holliday! Should you borrow to get an MBA? You are now leaving the Georgia’s Own Credit Union website. The site you are about to visit is operated by EverFi, Inc. Georgia’s Own has partnered with EverFi, Inc. to provide you with financial education tools. EverFi’s privacy and security policies may differ from those practiced by Georgia’s Own. You are now leaving the Georgia’s Own Credit Union website. The site you are about to visit is operated by BALANCE. Georgia’s Own has partnered with BALANCE to provide you with financial education tools. BALANCE’s privacy and security policies may differ from those practiced by Georgia’s Own. Georgia’s Own Credit Union 100 Peachtree St. Copyright Georgia’s Own Credit Union 2019. USA PATRIOT Act Notice: - To help the government fight the funding of terrorism and money laundering activities, federal law requires all financial institutions to obtain, verify, and record information that identifies each person who opens a new account. When you open an account, we will ask for your name, address, date of birth, and other information that will allow us to identify you. We may also ask to see your driver's license or other identifying documents.